The latest indoor air quality tests at the EPA headquarters in San Francisco show the levels of two potentially dangerous chemicals, formaldehyde and caprolactam, are going higher on some floors, not lower. The NBC Bay Area Investigative Unit was first to report on the elevated levels of these two chemicals at the Region 9 EPA building. The chemicals are typically found in furniture and carpeting and can make people sick. In fact, a survey conducted by all three of Region 9’s unions found nearly 100 employees reported feeling sick after working in the office building. The EPA hired a consultant to conduct air quality studies, most recently on Feb. 8. Those results just came back, showing the chemical levels increased on five floors, ranging anywhere from 10 percent to nearly double. 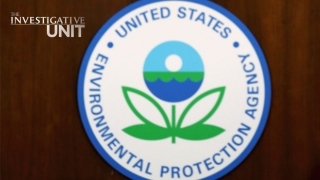 An EPA spokesperson acknowledged there is more work to be done and says the agency continues to work with the General Services Administration and Hines, the building manager, to address indoor air quality concerns. The EPA has asked Hines to reevaluate and adjust ventilation to increase air flow in areas with remaining concerns.